Satin anodised aluminium round bar bathroom furniture. These handles are supplied as a backplate which is screwed to the door and then fitted with a separate concealed cover. Cover plate measures approximately 153x41mm. The 19mm lever is sprung and is 131mm long. Supplied complete with 2 spindles and fixing screws. 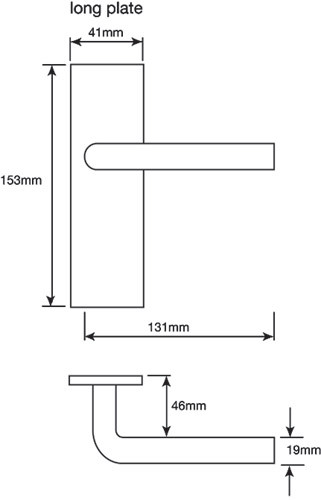 Handles require a bathroom mortice lock (not included). 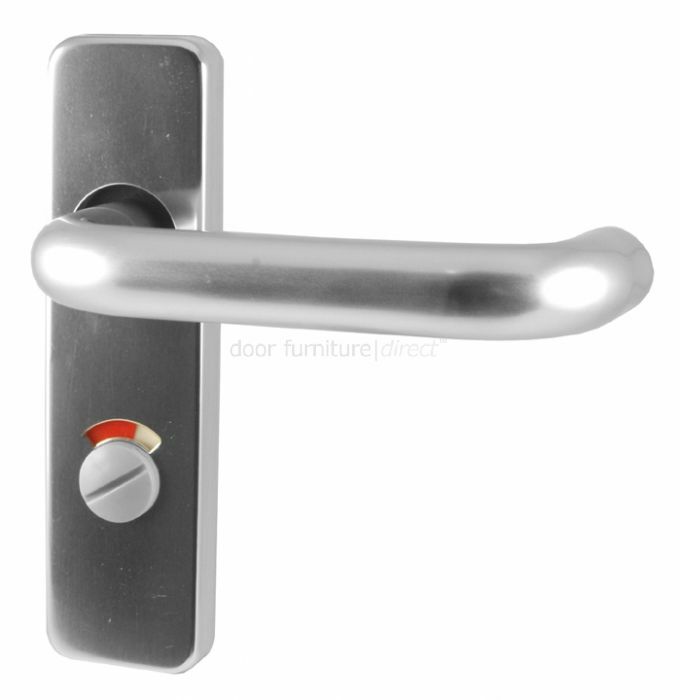 Bathroom handles suitable for use with a bathroom mortice lock.